The new album features Gary Brooker on two tracks: Spooky, the US #3 hit by the Classics IV (early 1968); and the old blues classic Mojo Boogie (by JB Lenoir). Gary plays piano on the former, organ on the latter. Read all about it here. 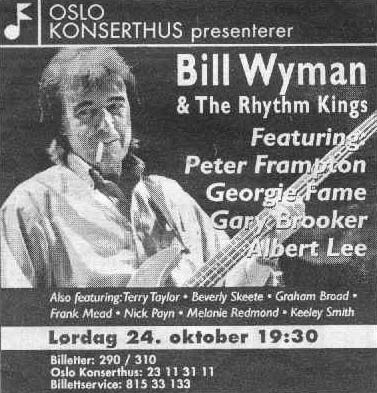 More Rhythm Kings information here; Wyman / Brooker interview excerpts here.